As visible, the localizer antenna for RWY 09 is located where the glideslope antenna is usually found, abeam the touch down zone. The localizer is normally seen at the end of the runway, aligned with the runway center line. 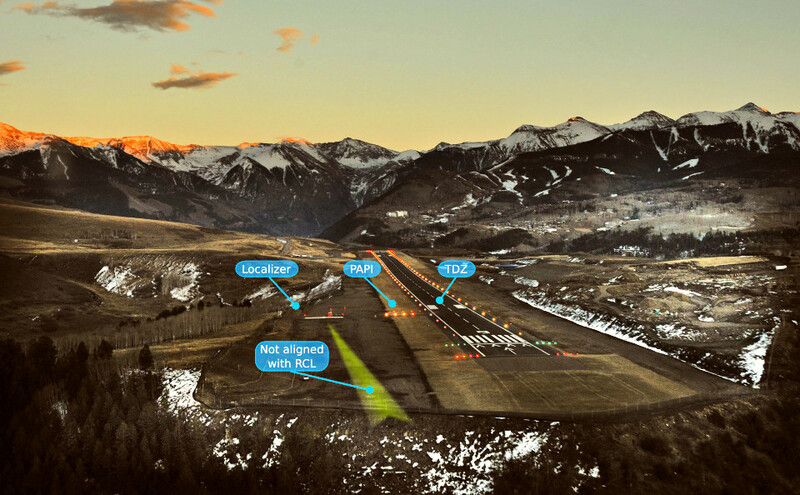 Why was the localizer moved close to the TDZ at Telluride airport? What is the practical impact for the pilot to have the localizer beam distant from landing path? The localizer for runway 09 is offset by 3°, almost certainly because of terrain. That would be a typical reason for a non-standard installation. The final approach course for the LOC 09 is 093°, whereas for the two RNAV (GPS) approaches it's 096°, which is also the current magnetic heading of the runway. 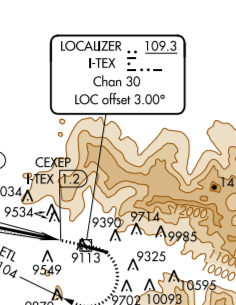 The Chart Supplement has various notes indicating that terrain is an issue (and RWY 09 has a displaced threshold) so everything indicates that the localizer is offset slightly for that reason, presumably to avoid signal interference. As for practical issues for pilots, correcting for a 3° offset shouldn't be a problem. A bigger consideration seems to be that the MDA on the LOC 09 approach is more than 2000' AGL so if the pilot breaks out late he'll very likely have to circle to land. Not the answer you're looking for? Browse other questions tagged airport-design localizer or ask your own question. What's exact offset degree dividing localizer and LDA? What criteria does ATC apply to determine if an aircraft is established on the localizer if the pilot does not report it? Why do localizer/glideslopes use 90/150Hz specifically? Why are the modulation depths of the localiser and glideslope different? How the Log Periodic Dipole Antenna of Localiser help in varying modulation depth? What are the procedures for flight checking a glideslope and localizer?